The goal was to introduce a transparent change process for all workflows, system landscapes, and requirements. 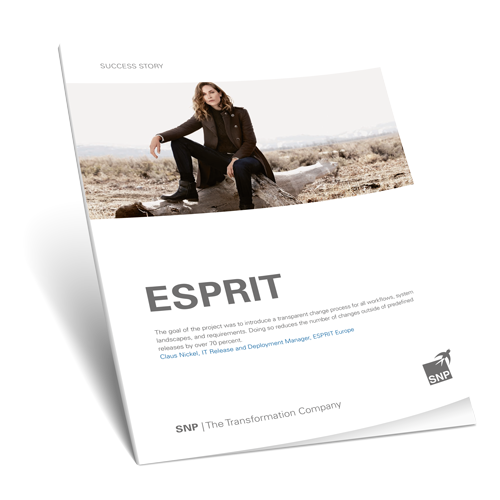 The project’s main challenge was that ESPRIT uses a five-stage SAP template landscape. ESPRIT decided to implement change request management on the basis of the SAP Solution Manager. As a result of SNP’s far-reaching process expertise and multifaceted range of experience with SAP Solution Manager, both qualities necessary to tailored the program to ESPRIT’s specific requirements, the company selected SNP SE to carry out the project.